Universal Pictures Stage Productions, Working Title Films and Old Vic Productions in association with Weinstein Live Entertainment, has announced, with Broadway In Chicago, casting for the Chicago production of Billy Elliot the Musical, previews beginning March 18th at the Oriental Theatre; opening night being Sunday, April 11th. The cast includes John Peter (J.P.) Viernes who joins the previously announced actors Tommy Batchelor, Giuseppe Bausilio and Cesar Corrales in the role of ‘Billy’. Starring in Billy Elliot are Armand Schultz (Dad); Cynthia Darlow (Grandma); Patrick Mulvey (Tony); Keean Johnson and Gabriel Rush (Michael); Chicagoan Samuel Pergande (Billy’s Older Self); Jim Ortlieb (George); Chicagoan Susie McMonagle (Mum); Chicagoan Blake Hammond (Mr. Braithwaite); and Maria Connelly (Debbie). Also featured are Matt Allen; Jason Babinsky; Chicagoan Elijah Barker; Madison Barnes; Cindy Benson; Sara Brians; Chicagoan Tony Clarno; Abby Church; Christine DeFillipo; Alexandra Dell’Edera; Faith Fetscher; Susan Haefner; Ryan Kasprzak; Chicagoan Kayla King; Kent Lewis; Will Mann; Kate Marilley; Spencer Milford; Brittany Nicholas; Chicagoan Mark Page; Mitch Poulos; Emily Richardson; Annelise Ritacca; Michaeljon Slinger; Jaclyn Taylor Ruggiero; Jamie Torcellini; Nicholas Torres; Brionna Trilling; and Kayla Vanderbilt. Additional casting will be announced at a later date. 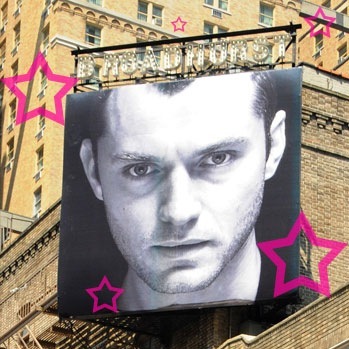 Featuring music by Elton John, book and lyrics by Lee Hall, choreographed by Peter Darling and directed by Stephen Daldry, Billy Elliot opened at Broadway’s Imperial Theatre on November 13, 2008 and was the winner of ten 2009 Tony Awards, including Best Musical. 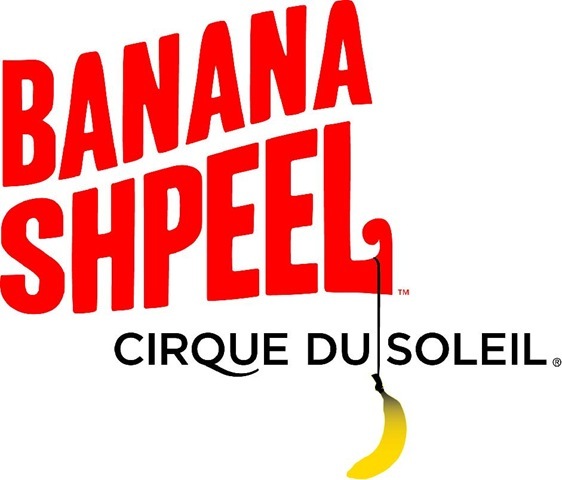 Stars from Broadway’s Jersey Boys and Wicked will join the distinctive cast of comedic and dance talent in the brand new theatrical production, Banana Shpeel, presented by Cirque du Soleil and MSG Entertainment. Banana Shpeel begins performances at The Chicago Theatre on November 19, with an official Opening Night on Wednesday, December 2. The limited Chicago engagement concludes January 3, 2010, and Banana Shpeel debuts in New York at The Beacon Theatre in February 2010. Michael Longoria, who starred as Frankie Valli in the Broadway production of Jersey Boys, will portray Emmett, an innocent and romantic young actor, while Annaleigh Ashford, who starred as Glinda in Wicked on Broadway and in Chicago, portrays Emmett’s love interest Katie, and Remo Airaldi, a prolific resident company member of Boston’s acclaimed American Repertory Theater, portrays Schmelky, a cruel and irritable theater producer. Joining them is an international crew of comedic actors: Claudio Carneiro (Brazil), Daniel Passer (U.S.), Patrick de Valette (France), Gordon White (Canada), and Wayne Wilson (U.S.). 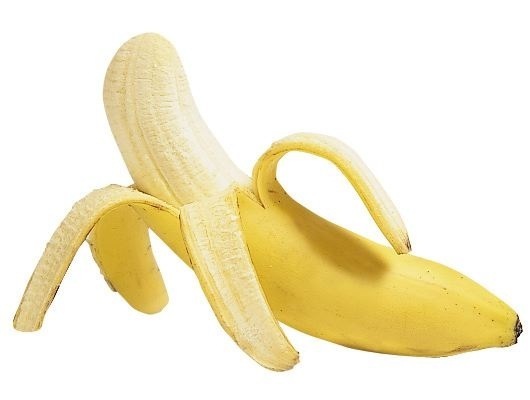 In keeping with Cirque du Soleil’s unique and diverse performers, global talents showcased in Banana Shpeel include Russian hand balancer Dmitry Bulkin, Vietnamese juggler Tuan Le, Spanish foot juggler Vanessa Alvarez, and the American sister-brother tap dance duo, Joseph and Josette Wiggan. Completing the cast is a talented ensemble comprised of 10 “triple threats”: singer-actor-dancers Robyn Baltzer, Alex Ellis, Adrienne Jean Fisher, DeWitt Fleming Jr., Luke Hawkins, Kathleen Hennessey, Adrienne Reid, Anthony J. Russo, Melissa Schott, and Steven T. Williams. Under the direction of Band Leader Robert Cookman, the Banana Shpeel original score is performed live on stage by Roland Barber (trombone), Bobby Brennan (bass), James Campagnola (multi-instrumental), Iohann Laliberté (drums), Jean-François Ouellet (saxophone), Peter Sachon (cello) and Scott Steen (trumpet). Banana Shpeel is a roller-coaster mix of styles that blends comedy with tap, hip hop, eccentric dance and slapstick, all linked by a narrative that ignites a succession of wacky adventures. This is not circus, or a musical or a variety show, or even vaudeville. It is Banana Shpeel! Synopsis: Propelled by crazy humor and intense choreography, Banana Shpeel plunges us into the world of Schmelky, who dangles fame and fortune in front of Emmett, who has come to audition for him. Emmett soon finds himself trapped in a flamboyant, anarchic world where Schmelky sows terror and reigns supreme. 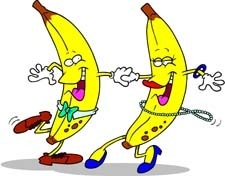 Emmett falls in love with the beautiful Katie and meets a bunch of absurd characters, including the strange Banana Man. But who is this mysterious Banana Man and how can Emmett escape the clutches of Schmelky and his henchmen? The Banana Shpeel Creative Team includes: Artistic Guides Guy Laliberté (Cirque du Soleil Founder) and Gilles Ste-Croix; Writer and Director David Shiner; Director of Creation Serge Roy; Composer and Musical Director Jean-François Côté; Comic Act Designer Stefan Haves; Choreographer Jared Grimes; Costume Designer Dominique Lemieux; Set Designer and Props Co-Designer Patricia Ruel; Props Co-Designer Jasmine Catudal; Lighting Designer Bruno Rafie; Sound Designer Harvey Robitaille; and Make-up Designer Eleni Uranis. Tickets are available now for all performances and can be purchased at www.cirquedusoleil.com or www.thechicagotheatre.com or by calling 1-800-745-3000. Regular ticket prices range from $23 to $98, with limited Premium and Tapis Rouge VIP Experience tickets also available. Discounts are available for groups of 20 or more, by calling 1-866-6-CIRQUE (1-866-624-7783). Lookingglass Theatre ensemble member J. Nicole Brooks discusses her world premiere play Fedra: Queen of Haiti. A candid peek into the first rehearsal of Fedra: Queen of Haiti at Lookingglass Theatre in Chicago. The cast and crew introduce themselves and the roles they will play in this World Premiere original adaptation of the Greek myth Phaedra. The creative team for the Broadway production of The Addams Family, to be directed and designed by Phelim McDermott and Julian Crouch, will include two-time Tony Award winner Natasha Katz (lighting), Acme Sound Partners (sound), Obie Award-winner Basil Twist (puppetry), Mary-Mitchell Campbell (music direction), Larry Hochman (orchestrations), Greg Meeh (special effects), and Rick Sordelet (fight direction). Once the production moves to Broadway, Addams Family – the Musical will play the Lunt-Fontanne Theatre, with previews beginning March 4, in anticipation of an April 8 opening. As previous mentioned in this blog, the production will star Nathan Lane and Bebe Neuwirth (photo on right) as Gomez and Morticia Addams, with Terrence Mann and Carolee Carmello as Mal and Alice Beineke, a couple who come to dinner at the family’s residence. The cast will also feature Kevin Chamberlin (Uncle Fester), Jackie Hoffman (Grandmama), Zachary James (Lurch), Adam Riegler (Pugsley), Krysta Rodriguez (Wednesday), and Wesley Taylor (Lucas Beineke). Additional casting will be announced at later dates. Anima Young Singers of Greater Chicago (formerly Glen Ellyn Children’s Chorus) is accepting new singers of all interested children and there is no pre-requisite for admission. Ensemble placements are being held now. Families are encouraged to call immediately for information or to schedule an appointment: (630) 858-2471. This is an event I would never have imagined – Handel’s Messiah, on stage, with a rock beat (as opposed to a disco Beethoven’s 5th Symphony?). 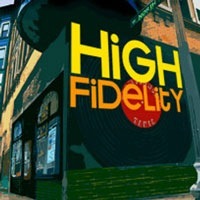 Performing at the Auditorium Theatre, the production runs for 2 nights only, starting on November 20th (my birthday!). For more info, go to HowDoYouHallelujah.com.